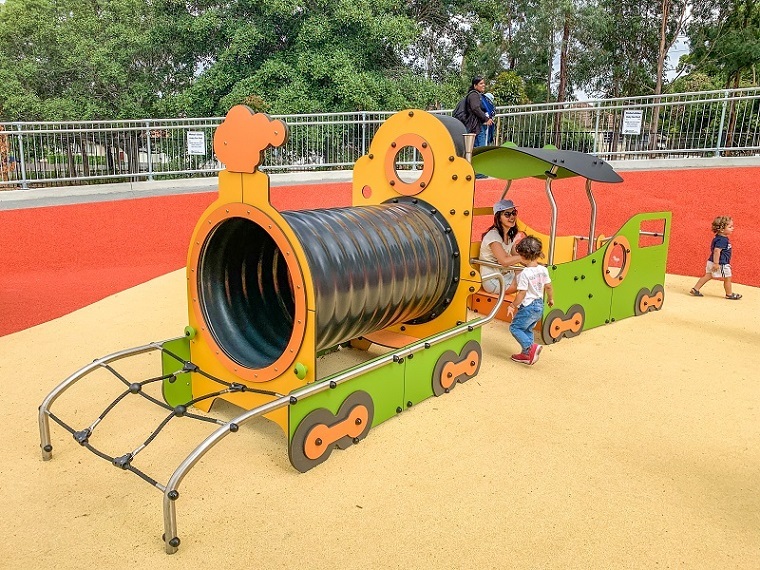 Age Range: from 1 year old, for everyone! 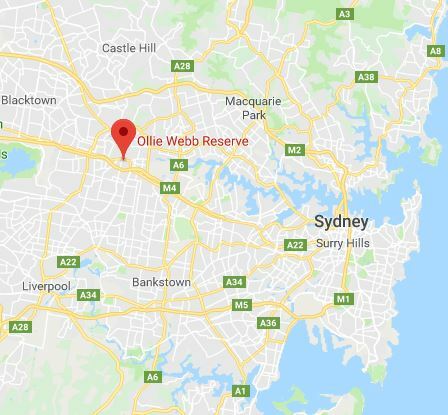 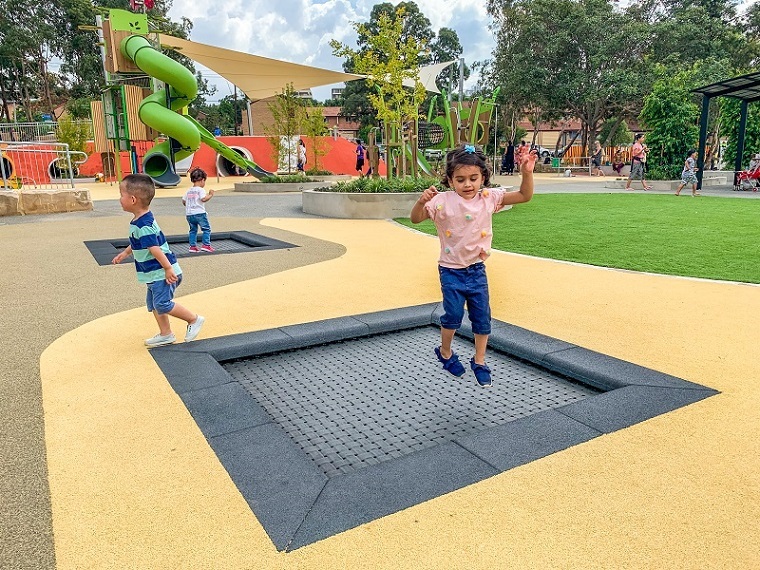 The City of Parramatta’s first all-inclusive, all-abilities playground at Ollie Webb Reserve provides a play space for children of all ages and abilities to enjoy all year round. 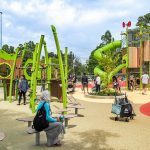 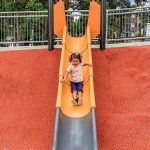 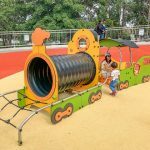 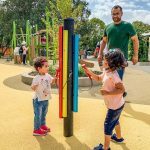 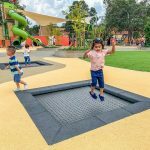 The project to develop an inclusive playground within the City of Parramatta came about in 2016 following a number of requests from the local community. 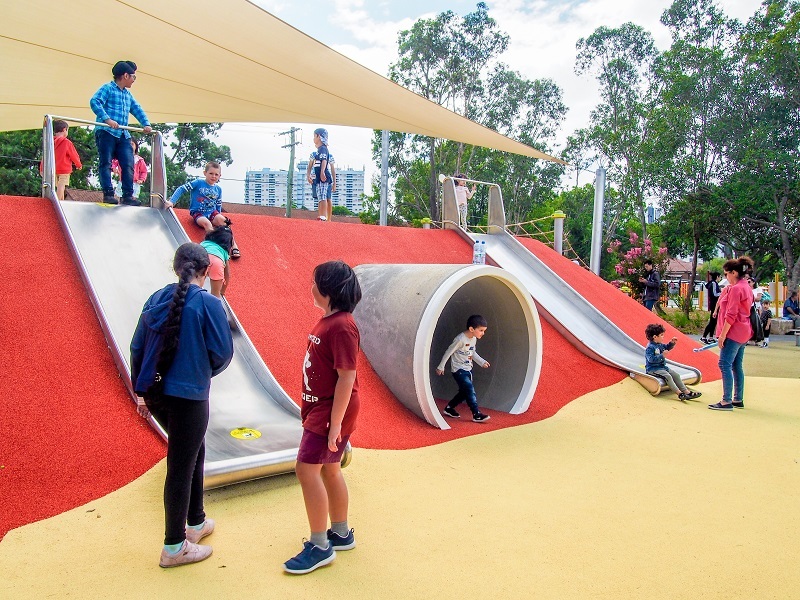 The consultation between Parramatta City Council, a number of disability advocacy groups and Proludic throughout the design process resulted in the creation of a fantastic place where the whole community comes together to play, learn, socialise and have fun. 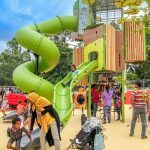 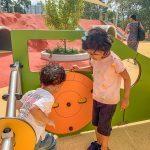 The playground design follows universal design principles that allow for the real integration of abled and disabled children in play areas. 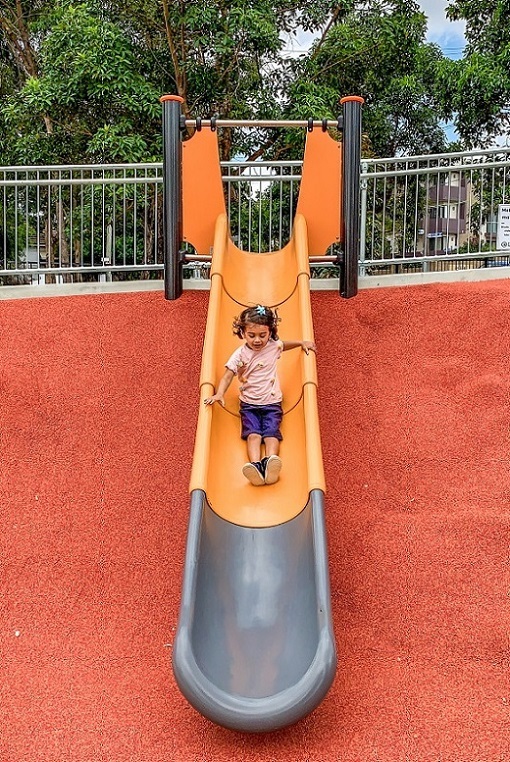 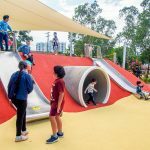 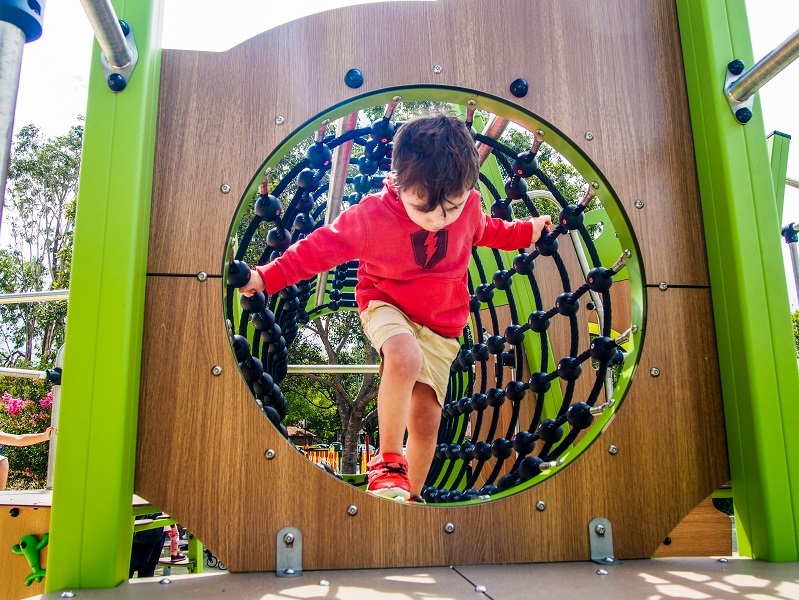 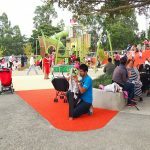 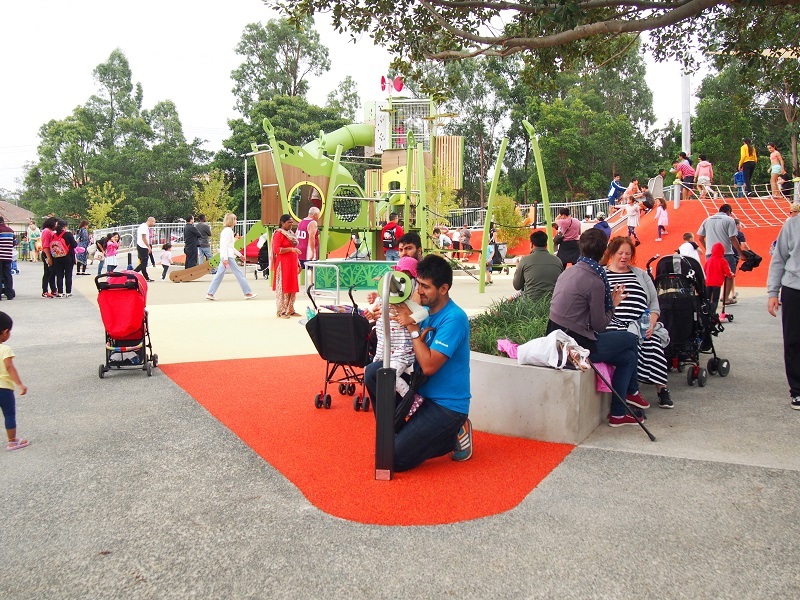 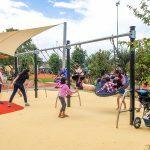 The City of Parramatta’s fundamental design requirements included the provision of an Active Play Space, Sensory Space, Quiet Space, Individual Play and Musical Play. 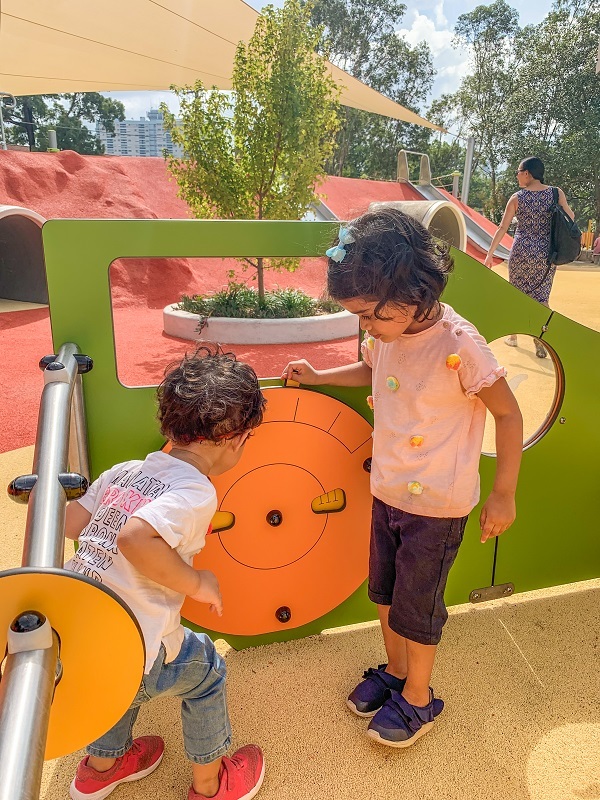 Our aim was to provide stimulating, innovative and attractive play equipment that encourages playfulness and interaction amongst children of all ages and abilities. 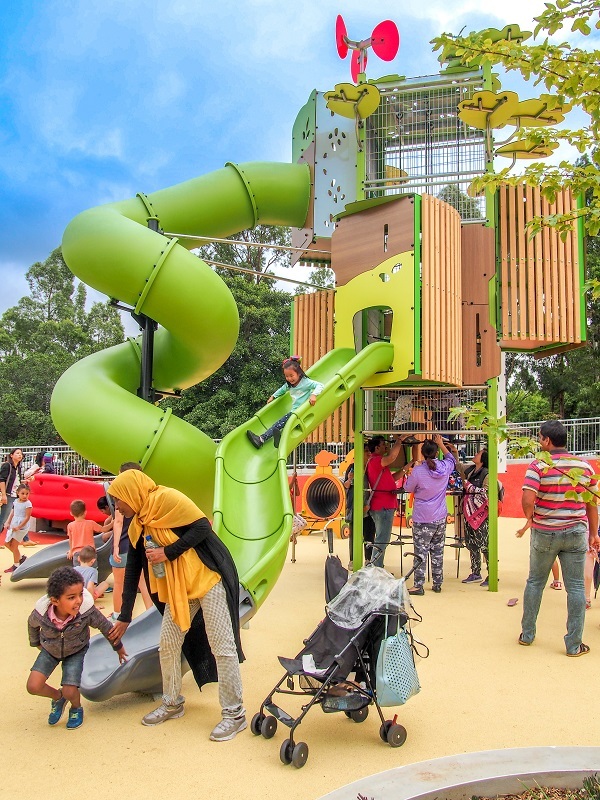 The impressive 7m high Kanopé Tree Tower (J56100) and the Kanopé Adventure Trail (J5612) from Proludic’s award-winning, nature-inspired Kanopé range, gives children the chance to live the adventure of the forest, and provides them with physical challenges in a fun and safe environment. 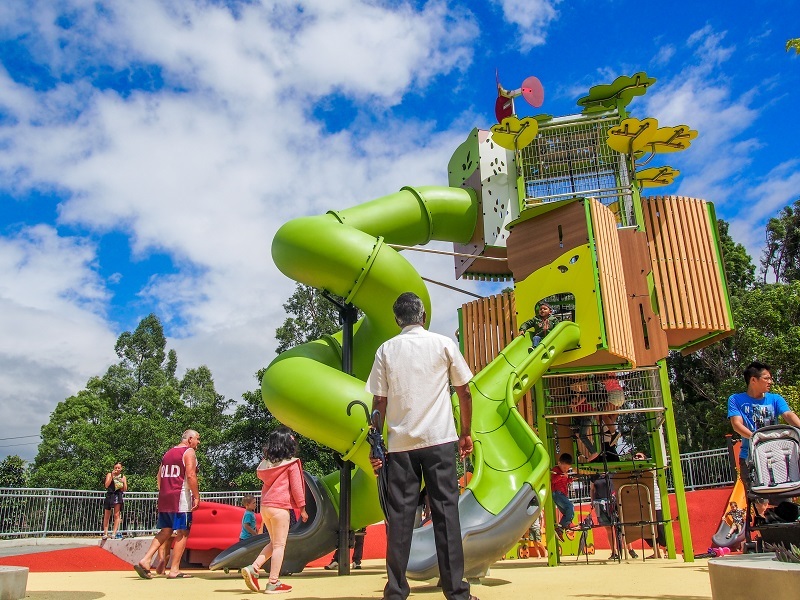 The Kanopé Tree Tower features exciting play activities for older children. 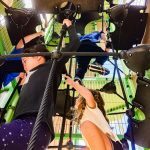 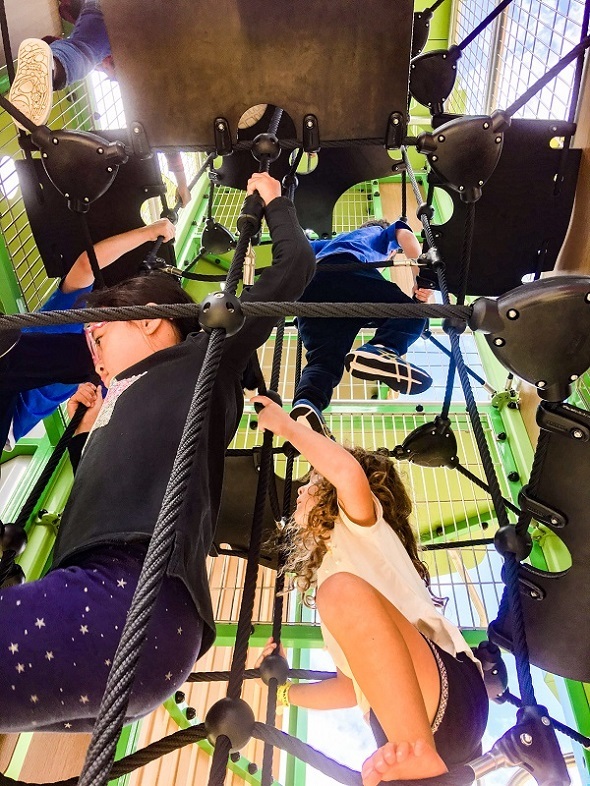 The design of the tower allows children to self-manage the level of challenge they are comfortable with whilst providing opportunities for further adventure as they develop their climbing skills and confidence. 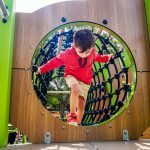 The Kanopé Adventure Trail is for children from 3 years old and provides lots of different balancing, climbing and sliding activities. 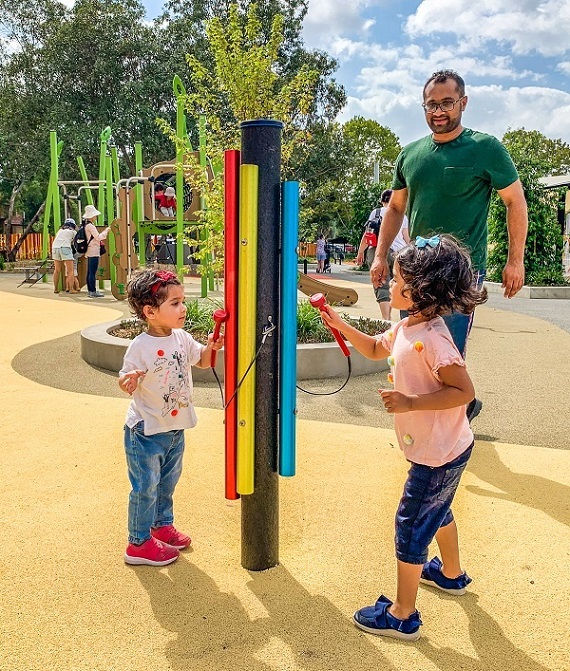 Other play equipment from Proludic includes our award-winning Proludic Inclusive Trampolines (R34-ETP-500), Train Locomotive (J2692) and Carriage (J2693), Tubophone (J3410), Three-Bay Swings with a choice of seats (J493), an embankment Kayak Slide, embankment wide slides, an Inclusive Accessible Carousel and Chimes musical play. 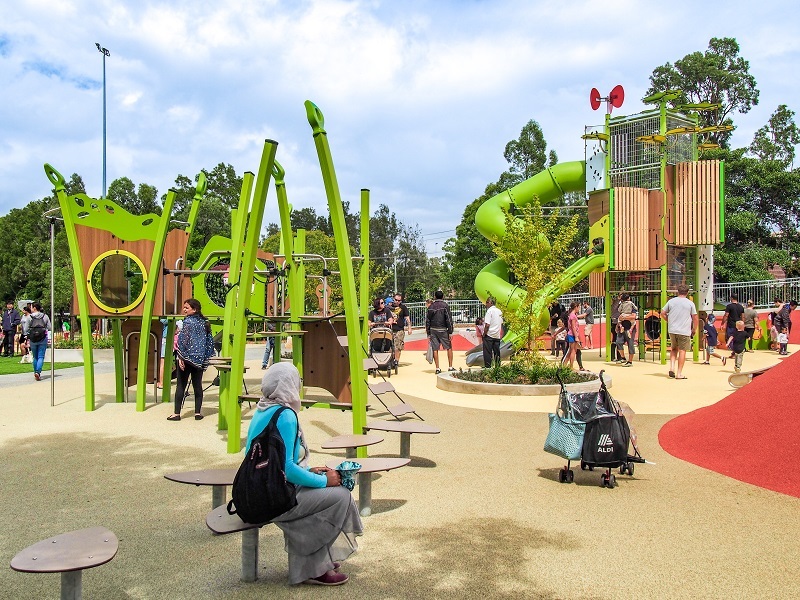 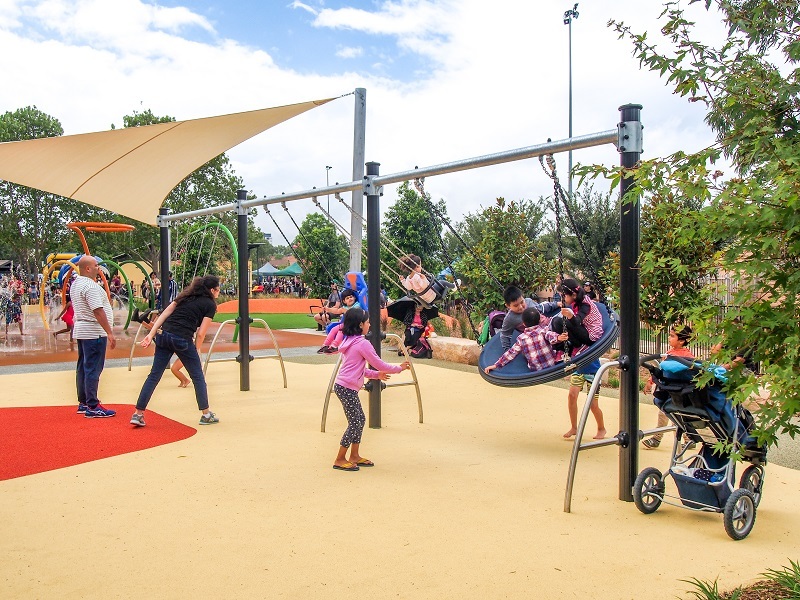 At the grand opening event held on February 23, 2019, Member for Parramatta Geoff Lee said that “The Ollie Webb Reserve inclusive playground and water play park is a wonderful and accessible space for all children to enjoy – a place where the community can come together”.